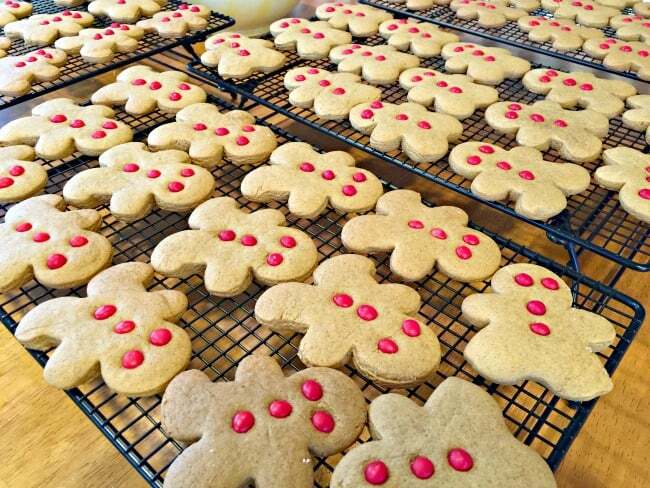 These gingerbread men cookies are chewy, have all of the deep rich molasses flavor that we love in gingerbread cookies, and when paired with fiery red hot eyes and buttons- are just the perfect combination of holiday goodness! 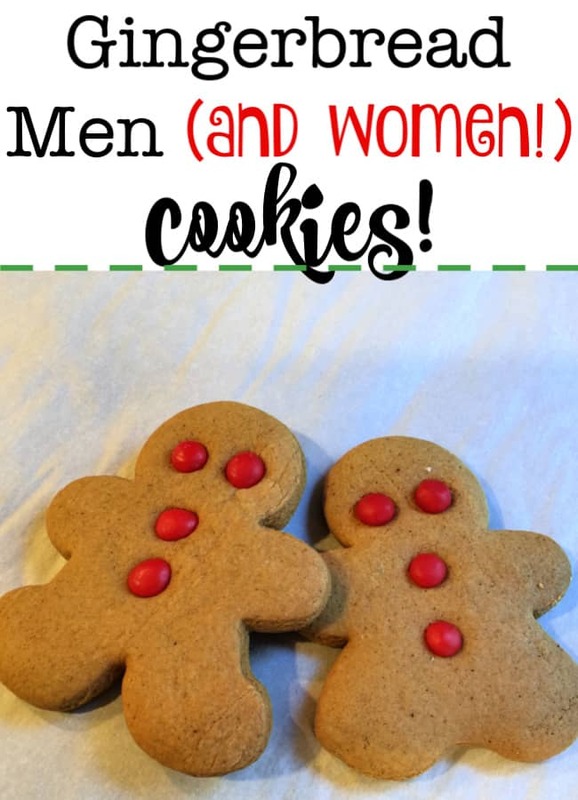 Trust me- this will become one of your favorite recipes for holiday cookies! One of my favorite tricks when it comes to rolling out cut-out cookies is to sprinkle powdered sugar on the countertop rather than flour, especially when using a darker-colored dough. If you happen to get a little powdered sugar on the cookie while cutting it out (as I did above), it will just melt into the dough during baking. If you do the same thing with flour- you will be left with a white smudge on your finished cookie. I also like to place a sheet of plastic wrap on top of the dough and then use the rolling pin on top of the plastic wrap. It creates a smooth surface and the dough doesn't stick to the rolling pin! Add the red-hot eyes and buttons before baking these cookies. They will not melt while the cookie bakes- and they will actually stay embedded in the cookie when you package them for gift-giving. Be sure to cool your cookies on raised cooling racks, so the underside of the cookie fully cools as well. This will prevent them from sticking together when packaged. 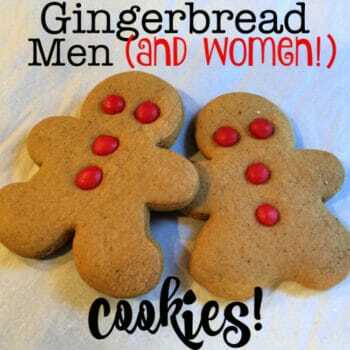 These gingerbread men cookies are chewy, have all of the deep rich molasses flavor that we love in gingerbread cookies, and when paired with fiery red hot eyes and buttons- they are just the perfect combination of holiday cookie goodness! In a large bowl beat the sugar and margarine together until well blended. Add eggs and the molasses and beat again. In a medium-sized bowl, stir together the remaining dry ingredients, and then add to the molasses mixture until completely incorporated. Cover the mixing bowl with plastic wrap and chill the dough for at least one hour. Roll the dough onto a powdered-sugar-covered surface until ¼-inch thick. 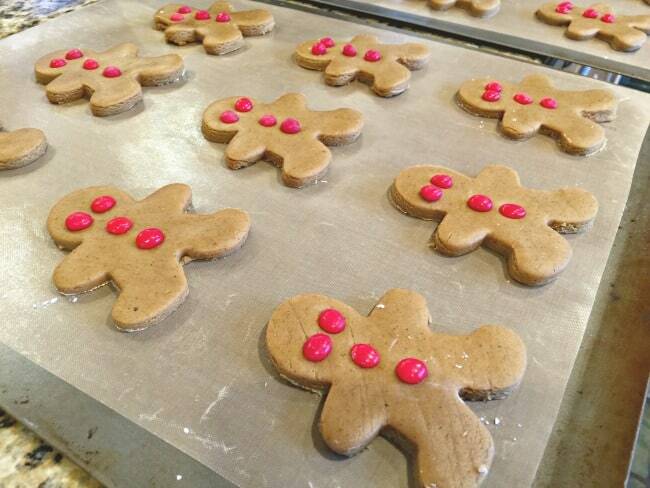 Cut into gingerbread men and gingerbread women shapes. Add on red hot eyes and buttons. Place on parchment-lined baking sheets. Bake for 10 minutes at 350 degrees. 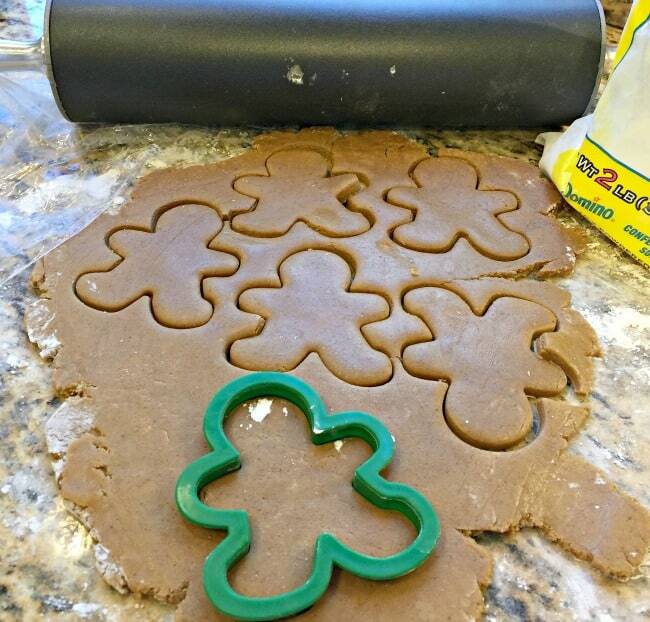 I know that your family will love these gingerbread men cookies as much as mine do! « Nana’s Chex Christmas Mix!